If you are eligible for benefits after a job-related accident or illness, your employer’s insurer may offer to settle your claim. 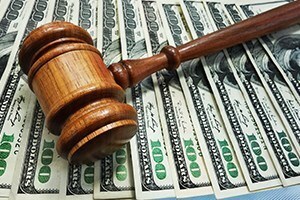 Lump sum settlements in these cases should be carefully negotiated, and you should understand the effect that a settlement may have on your claim. At Pulgini & Norton, our workers’ compensation lawyers advise and represent injured employees. If you are hurt at your job, a Boston lump sum settlements attorney can assist you in seeking benefits and negotiating a lump sum settlement, if that is a good solution for you. You can receive workers’ compensation benefits in Massachusetts if you suffered a job-related injury that lasts for more than five days. Your employer is required to provide this type of insurance coverage under state law. Its insurer, however, will determine whether or not your injury qualifies for benefits and the types of compensation you may be entitled to receive. It must provide you with reasonable medical care for your harm and reimbursement for lost wages. You will receive a percentage of your wage on a weekly basis, subject to limits set by the state. The amount you will receive depends on whether your injury qualifies as a total and permanent disability, total and temporary disability, or partial disability. Your employer’s insurer may offer you a lump sum settlement in lieu of your weekly wage benefits. This is a contract between you and the insurer for a one-time payment that replaces your weekly compensation. An insurer does not have to offer you a lump sum settlement. If it does, however, and you agree to the terms, the offer will need to be reviewed by an administrative law judge at the Department of Industrial Accidents (DIA). Under Massachusetts law, lump sum settlements are subject to review to ensure that the offer is in the best interest of the claimant. You should carefully consider whether accepting a settlement offer is the right choice for you. By accepting it, you forfeit your right to any future weekly wage benefits. You sometimes can continue to receive payments for future medical costs, but only if the insurer agrees to such payments or if an administrative judge orders the insurer to make them. The insurer can dispute any future medical expenses. You should address and resolve any issues related to your medical care prior to accepting a settlement offer. Under Massachusetts law, the terms of your lump sum settlement agreement cannot prevent you from returning to your job or from receiving any benefits or pay your employer owes you. You also retain the right to bring a claim against your employer for wrongful discharge or breach of contract. The agreement cannot prevent you from filing any future, unrelated workers’ compensation claims. A lump sum settlement, however, will close your current case for benefits. In other words, you cannot come back after you have accepted the settlement and seek additional compensation for the injury or illness that was the basis for the initial claim. The settlement will have no impact on any future or pending claims you may have as long as the claims are for separate and distinct illnesses or injuries. There is also a legal presumption that you will not be able to return to work for a certain period of time if you accept a lump sum settlement. For every $1,500 you receive, you cannot resume your job for one month. For example, if you receive a lump sum settlement for $15,000, you presumably cannot return to work for 10 months. If you have a claim against a third party, you should present the claim and the insurer’s settlement offer to the administrative judge simultaneously. The judge can then take the third-party action into consideration in determining whether the insurer’s offer is in your best interest. The work injury attorneys at Pulgini & Norton provide comprehensive representation to employees seeking benefits after an accident on the job. A lump sum settlements lawyer in Boston can help you file a claim for workers’ compensation and appeal any denials or modifications. If you are offered a lump sum settlement, we can advise you on the terms of the agreement and negotiate an amount that adequately compensates you for your injuries. We represent claimants in Massachusetts communities such as Andover, Newton, and Brookline. Call us at 781-843-2200 or reach us online to set up a consultation.